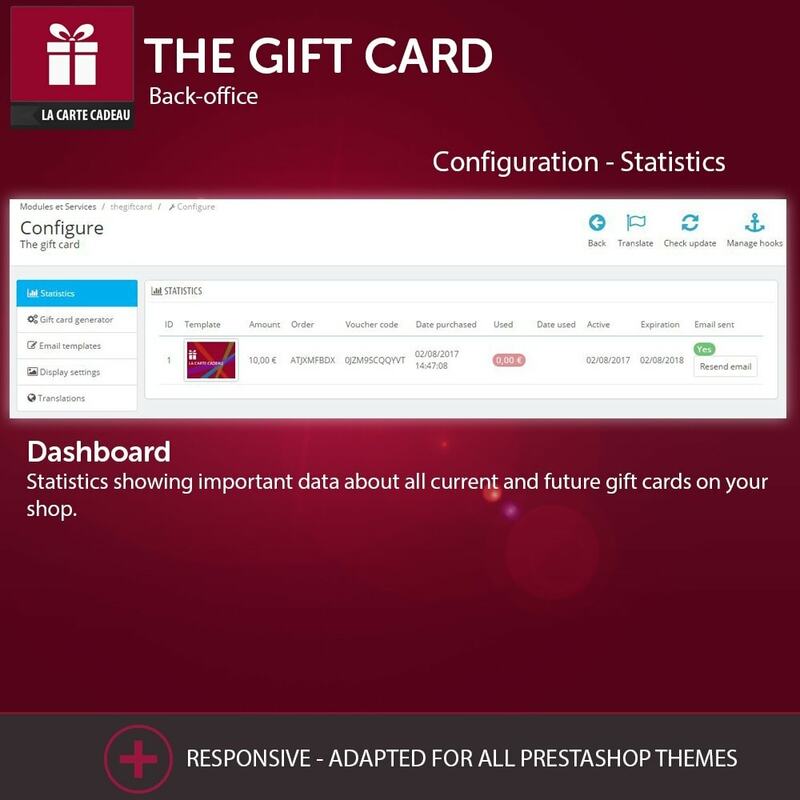 Attract new customers and boost your sales by suggesting customizable gift cards. 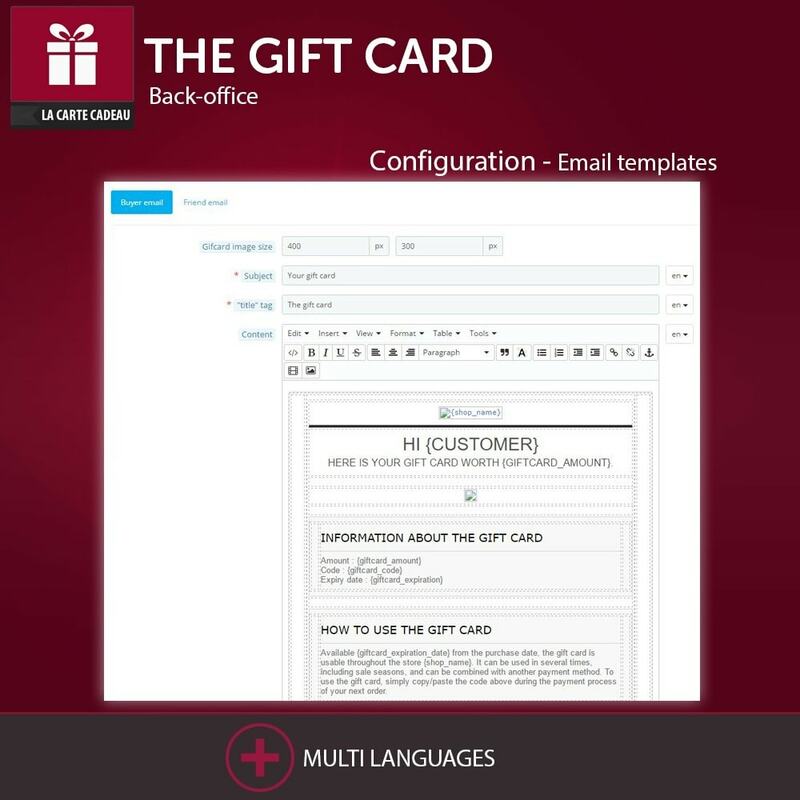 The Gift Card module offers to the customer the possibility to personalize the gift card he wishes on your store among the models previously configured in back-office. 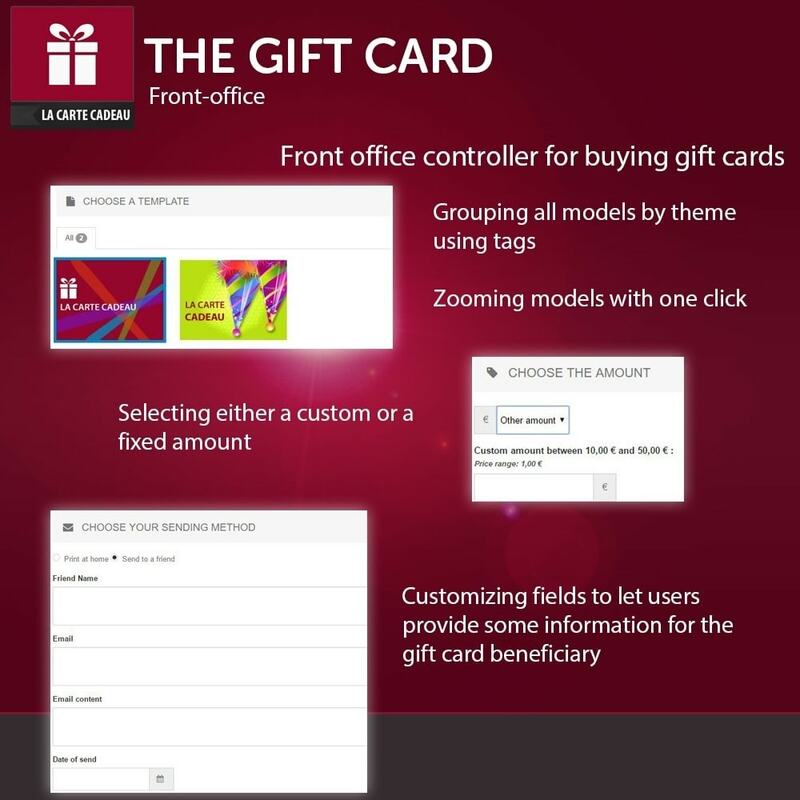 Add images, set fixed or customizable amounts and the system will automatically generate the gift card models. It's as simple as that! 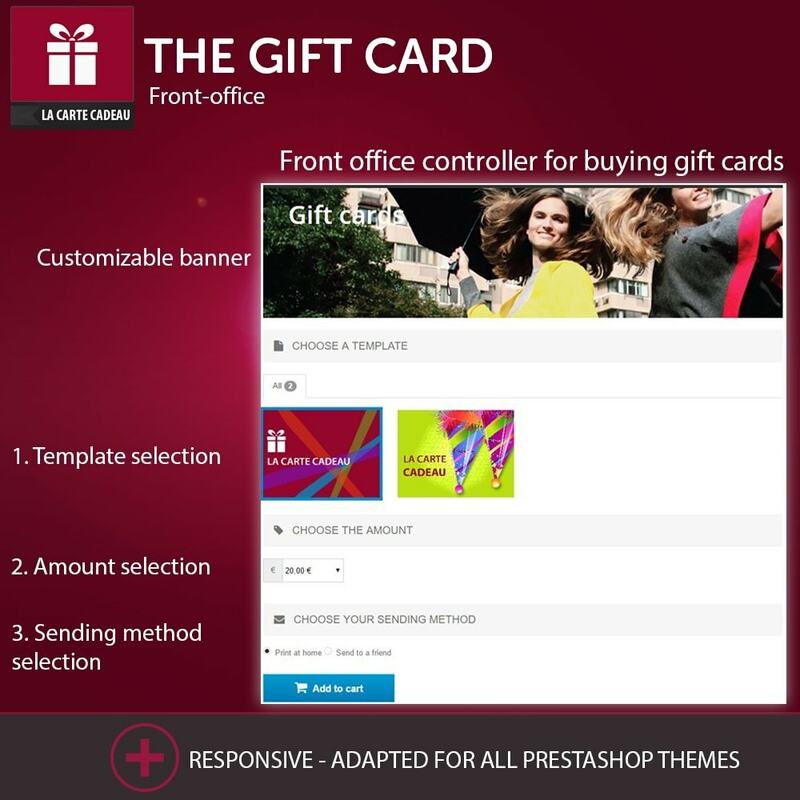 Each customer can then purchase the gift card that suits him, print at home or send it directly to the beneficiary who will spend it on your store ! 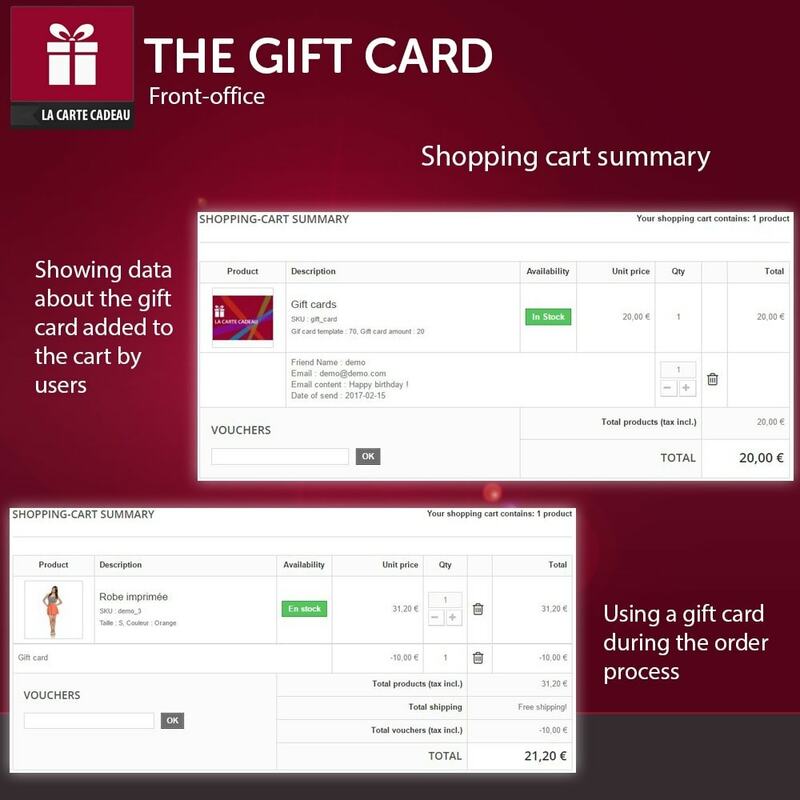 Displays necessary infortion for monitoring the activation and use of gift cards.